Connect with your printer the way you want for effortless document printing and scanning in Home Offices. Whatever your business needs, the PIXMA Home Office range offers a smart, efficient and high quality solution. Earn points towards fantastic rewards when you print with our latest PIXMA Home Office printers. Discover the wide range of connectivity options that PIXMA printers can bring to your home office. Simplify the way you print, copy and scan plus enjoy direct access to cloud services using the Canon PRINT app. Simply download it for free and enjoy the freedom of effortless Wi-Fi connectivity to all your iOS and Android devices. 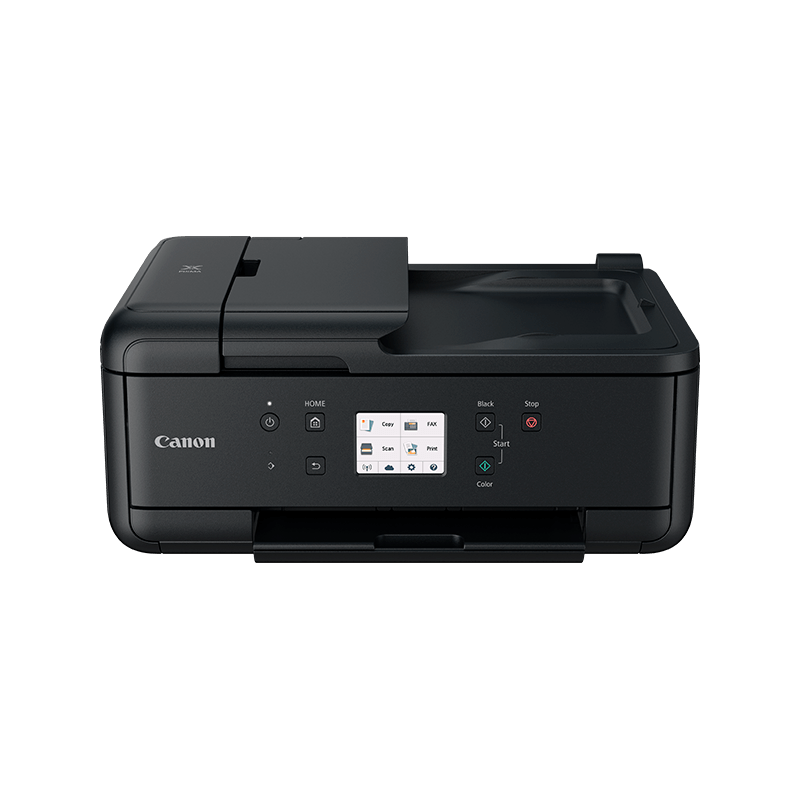 PIXMA printers with Bluetooth® technology* let you connect quickly to your smart device using the Canon PRINT app. Keep mobile and productive with PIXMA portable printers that deliver high quality, A4 printing on the go. Connect and print on the move using the ultimate portable Wi-Fi printer with bundled battery pack. Print in A3 format using PIXMA A3 document and photo printers. Choose a dedicated PIXMA professional photo printer for stunning quality photos. Ultimate quality 12-ink A3 printer with commercial scale productivity. Professional A3+ photo printer with 10-ink pigment-based system, Wi-Fi and Ethernet. Stunning quality A3+ photo printer with 8-ink dye-based system, Wi-Fi and Ethernet. Connect to the cloud and smart devices with this affordable Wi-Fi 4-In-One. Print, copy, scan and fax with ease using this affordable Wi-Fi All-In-One. A premium 5-ink wireless All-In-One with Ethernet and 35 sheet 2-sided ADF. Precision photo and document printing on the go with enhanced connectivity. Precision photo and document printing on the go with enhanced connectivity and bundled battery pack. Powerful, productive 5-ink 4-In-One with Wi-Fi, Ethernet, 2-sided ADF and 250-sheet paper tray. Explore our range of Photo Printers to make the most of your images.